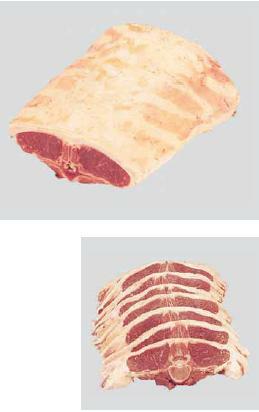 Meat Uruguay - Natural, Quality & Certified Food for Export | Short Loin Pair (Short Loin Saddle). A Short Loin Pair is prepared from a Carcase by a straight cut along both sides of the 6 lumbar vertebrae from the lumbo-sacral to the dorso-lumbar joints. The Flank is removed at a pre-established distance from the ventral edge of the eye muscle. 4883 a – Chops (specify width).